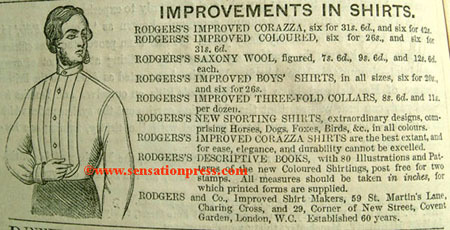 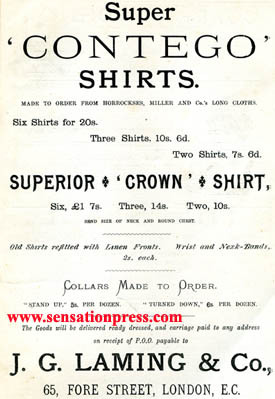 Rodger's and Co., Improved Shirt Makers, Established 60 years. 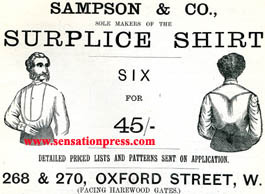 The Surplice Shirt by Sampson & co.
By J.G. 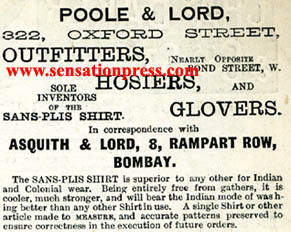 Laming & co.
Poole and Lord, Sole inventors of the Sans-Plis Shirt.